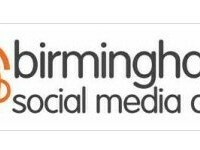 It was the Birmingham Social Media Cafe’s 4th Birthday last month and the event was hosted and sponsored by the Symphony Hall. The guys from CMA Video were there to capture and mark the special occasion; check out the video from the day! Many thanks to CMA; they were so great to work with, and the final product is fantastic. Thank you to everyone who took part in the video – and for all your praise for the social media cafe! I’m glad to hear people get so much out of it. Thanks again to the Symphony Hall for sponsorship and being our hosts! 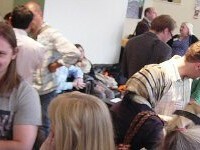 The next Birmingham Social Media Cafe is on Friday 26th October. This month coffees are being sponsored by n0tice – a community noticeboard, a place for sharing “what’s happening near you”. Thank you n0tice! 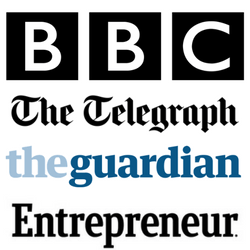 If you’re interested in the future of media, how we organise, share, produce and enjoy it, then come along. If you’re an artist, film maker, geek, marketer, academic, musician, designer, writer, photographer, or anything close or related, then this is the event for you! We meet on the last Friday of every month but make sure you check for announcements and mark yourself as attending by using the link above.